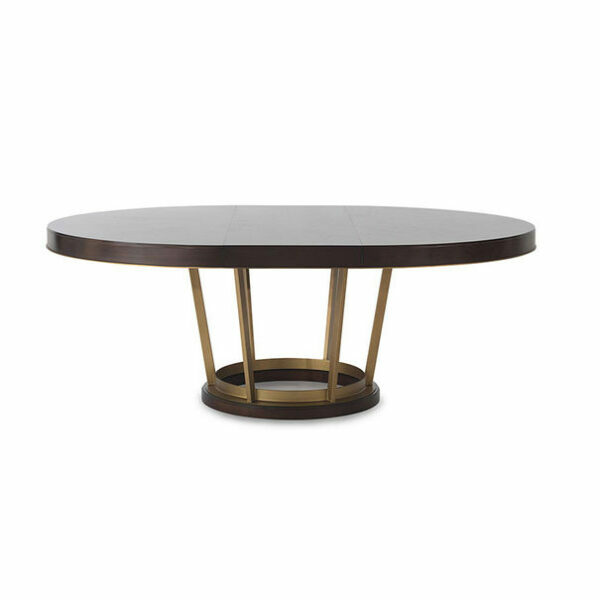 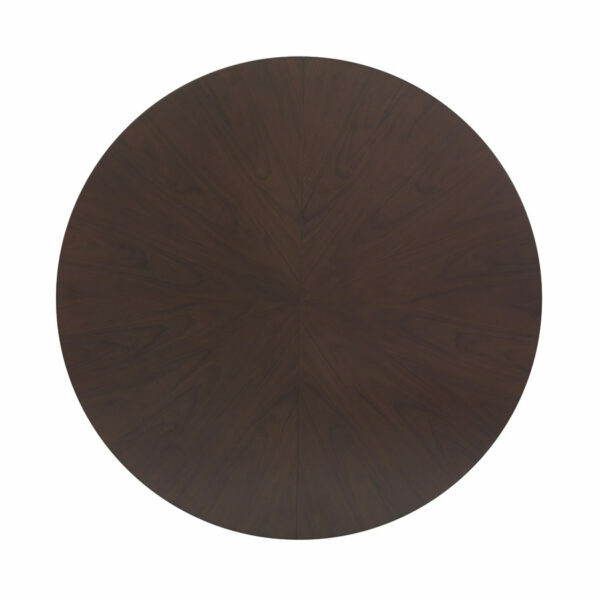 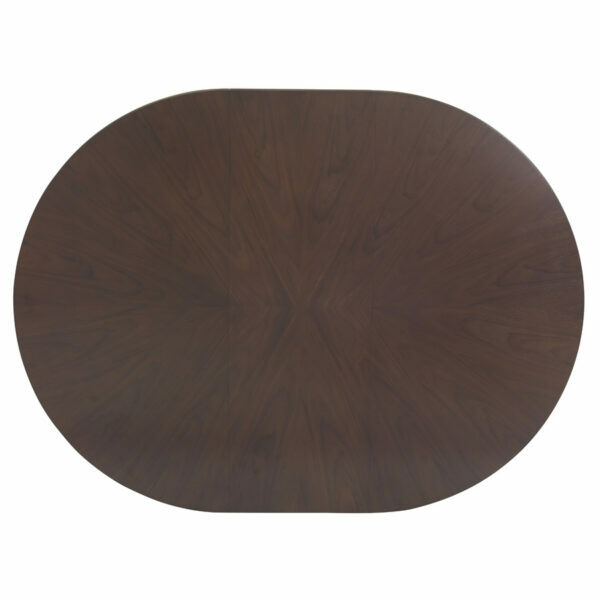 A jewel piece for the dining room: Our 60″ round Delaney dining extension table expands to an 80″ oval with its 20″ leaf. 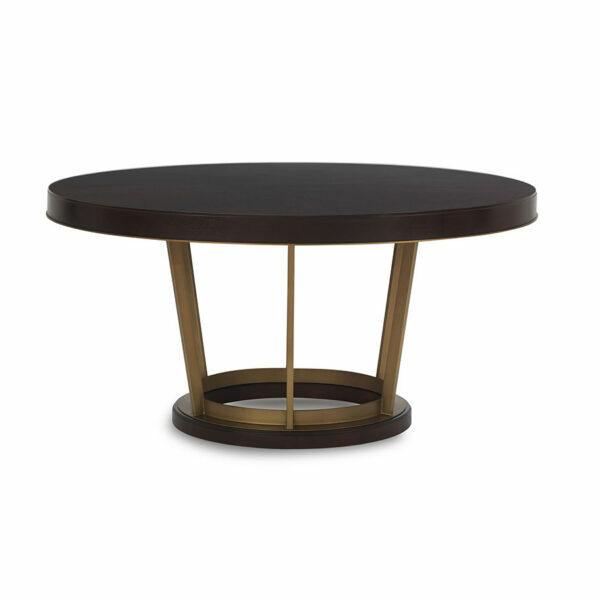 A slim brass band elegantly accents the table’s edge. 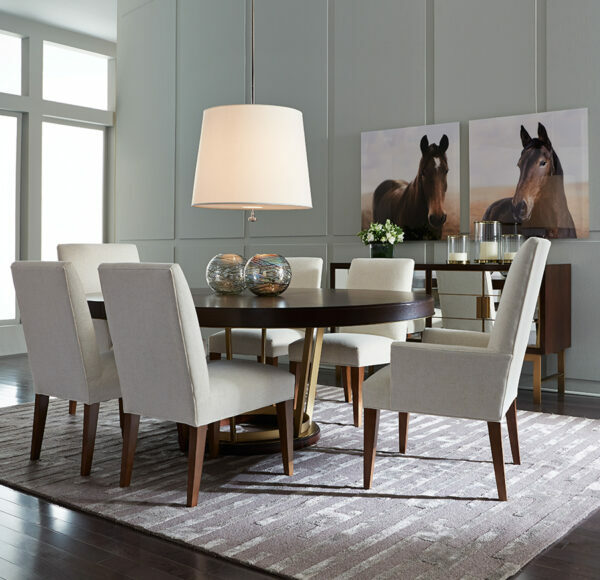 A perfect pair with our mirror-front Delaney Buffet, and an easy match with many of our comfortable upholstered dining chairs.